Thank you for accessing https://www.smoothskin.com (the “Website”). Please read these terms and conditions (the “Terms”) before using the Website which is operated by CyDen Limited (registered number 4470941), whose registered office is at Technium 1, Kings Road, Swansea SA1 8PH, Wales, United Kingdom (“CyDen“). Cyden’s VAT number is GB 189 2765 52. Should you wish to contact CyDen at any time, please contact us by emailing us at support-us@ipulse.co.uk. 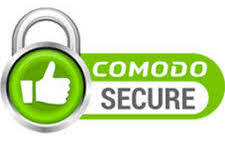 By using the Website, you signify your acceptance of the Terms in consideration of which CyDen provide you with access. From time to time CyDen may modify the Terms. Accordingly, please continue to review the Terms whenever accessing or using the Website. If at any time you do not wish to accept the Terms, you may not use the Website. These terms and conditions were updated on 1st July 2014. While CyDen has endeavored to ensure the material accuracy of the information available on the Website, CyDen does not guarantee or give any warranty as to the accuracy, timeliness or completeness of any information or material on the Website. The contents of this Website are for information only, nothing on this site constitutes professional advice and advice should always be taken from a qualified professional in relation to any specific problem or concern. CyDen therefore disclaims all liability and responsibility arising from any reliance placed on such information or materials by any visitor to the Website. Websites or pages to which the Website is linked are for information only and have not been reviewed by CyDen. CyDen has no responsibility for the content of the websites or pages linked or linking to this Website, and CyDen accepts no responsibility or liability for any losses or liabilities whatsoever that may be incurred as a result of your clicking through to linked websites. The Website, including (but not limited to) text, content, software, video, music, sound, graphics, photographs, illustrations, artwork, names, logos, trade marks and other material (“Content”) is protected by copyrights, database, trade marks and/or other intellectual property rights. The Content includes both content owned or controlled by CyDen and content owned or controlled by third parties and licensed to CyDen. You may not use any of CyDen’s trade marks or trade names without CyDen‘s consent and you acknowledge that you have no ownership rights in and to any of those names and marks. You agree to notify CyDen in writing promptly upon becoming aware of any unauthorised access to or use of the Website by any party or of any claim that the Website or any of the Content infringes any copyright, trade mark, or other contractual, statutory or common law rights of any party. (ii).you retain on such download and/or printed copy all copyright notices and shall remain bound by the terms of such wording and notices. If you would like information about obtaining CyDen‘s permission to use any of the Content please contact us by emailing us at support-us@ipulse.co.uk. THE WEBSITE AND THE CONTENT ARE PROVIDED “AS IS” EXCLUDING ANY WARRANTIES AND CONDITIONS OF ANY KIND, EITHER EXPRESS OR IMPLIED, TO THE FULLEST EXTENT PERMISSIBLE PURSUANT TO APPLICABLE LAW INCLUDING (BUT NOT LIMITED TO) THE EXCLUSION OF WARRANTIES AND CONDITIONS AS TO TITLE, MERCHANTABILITY, SATISFACTORY QUALITY, FITNESS FOR A PARTICULAR PURPOSE AND NON-INFRINGEMENT OF PROPRIETARY OR THIRD PARTY RIGHTS. CYDEN FURTHER ACCEPTS NO RESPONSIBILITY OR LIABILITY FOR FUNCTIONALITY CONTAINED ON THE WEBSITE. PLEASE NOTE THAT SOME JURISDICTIONS DO NOT ALLOW THE EXCLUSION OF IMPLIED WARRANTIES OR IMPLIED CONDITIONS, SO SOME OR ALL OF THE ABOVE EXCLUSIONS MAY NOT APPLY TO YOU. While CyDen cannot guarantee performance of its Website, in the event that use of the Website is interrupted or suffers from any errors, we will endeavour to resolve such issues in a reasonably timely manner. You should ensure that your computer equipment is compatible with the Website and you have installed up to date virus checking software prior to any internet session as CYDEN IS NOT LIABLE FOR ANY DAMAGE YOU MAY SUFFER AS A RESULT OF SUCH DESTRUCTIVE FEATURES THAT MAY INFECT YOUR COMPUTER OR DATA DUE TO YOUR USE OF THE WEBSITE OR YOUR DOWNLOADING ANY MATERIAL POSTED ON IT. CYDEN SHALL NOT BE HELD RESPONSIBLE FOR CONTENT PROVIDED BY THIRD PARTIES. CyDen is also not responsible for the reliability or continued availability of the telephone lines and equipment you use to access the Website. You understand that CyDen uses third party vendors and hosting partners to provide the necessary hardware, software, networking, storage, and related technology required to run the Website and any service made available through it. YOU ACKNOWLEDGE THAT YOUR USE OF THE WEBSITE, INCLUDING THE CONTENT, IS AT YOUR OWN RISK. IF YOU ARE DISSATISFIED WITH THE WEBSITE, THE TERMS OR ANY OF THE CONTENT YOUR SOLE REMEDY IS TO DISCONTINUE USE OF THE WEBSITE. SAVE IN RESPECT OF FRAUD AND OF PERSONAL INJURY OR DEATH TO THE EXTENT IT RESULTS FROM CYDEN‘S NEGLIGENCE, IN NO EVENT WILL CYDEN BE LIABLE TO YOU OR ANY THIRD PARTY FOR ANY DIRECT, SPECIAL, INDIRECT, CONSEQUENTIAL OR INCIDENTAL DAMAGES (INCLUDING LOST PROFITS), OR ANY OTHER DAMAGES OF ANY KIND WHETHER BASED IN CONTRACT, TORT (INCLUDING NEGLIGENCE) OR OTHERWISE, EVEN IF CYDEN HAS BEEN ADVISED OF THE POSSIBILITY THEREOF. The Website is not directed at any person in any jurisdiction where for any reason the publication or availability of the Website is prohibited. Those in respect of whom such prohibitions apply must not access the Website. CyDen does not represent that either the Website or the Content are appropriate for use or permitted by local laws in all jurisdictions. Those who access the Website do so on their own initiative and are responsible for compliance with applicable local laws or regulations; legal advice should be sought in cases of doubt. You must not misuse the Website by knowingly introducing viruses, Trojans, worms, logic bombs or other material which is malicious or technologically harmful. You must not attempt to gain unauthorised access to the Website or the server on which it is stored and you must not attack our Website by way of a denial of service attack or distributed denial of service attack. We will not be liable for any loss or damage caused by a distributed denial of service attack arising following your use of the Website. At any time, the Website may contain material which is out of date. While CyDen has no obligation to do so, you accept that CyDen has the right to change the content or technical specifications of any aspect of the Website at any time at CyDen’s sole discretion. You further accept that such changes may result in your being unable to access the Website. No waiver by CyDen of any breach of any obligation arising under these Terms shall constitute a waiver of any other breach and no failure to exercise or partial exercise by CyDen of any remedy shall constitute a waiver of the right subsequently to exercise that or any other remedy. to improve our services and to prevent or detect fraud or abuses of our Website. Any personal information collected will be treated as confidential and, save as set out below, CyDen will not disclose any of your personal information except with your specific permission. This personal information may also be used to communicate with you, to support your customer relationship with CyDen, to contact you for market research purposes, to ask you to provide us with additional information in order to improve our services, to ensure that content from the Website is presented in the most effective manner for you and for your computer and/or to notify you about changes to our products and/or service. In such instances, CyDen will always give you the opportunity to opt out of receiving such unsolicited communications. CyDen has tried to create a secure and reliable Website for you. CyDen has put in place appropriate organisational and technical safeguards and security measures given the nature of the information processed by us. YOU SHOULD NOTE HOWEVER THAT E-MAIL ENQUIRIES ARE TRANSMITTED BY INSECURE MEANS AND STORED OFF-LINE. YOU RECOGNISE THAT THE USE OF THE INTERNET AND THE WEBSITE IS ENTIRELY AT YOUR OWN RISK. CYDEN ACCEPTS NO RESPONSIBILITY OR LIABILITY FOR THE SECURITY OF PERSONAL INFORMATION TRANSMITTED VIA THE INTERNET. Our Website contains links to other websites which are outside our control. You should note that third party websites linked to or from our Website may operate different privacy policies to those set out here.